The origin of lights at this season can be traced back to the Jewish Festival of Lights, or Feast of the Dedication, in Hebrew called "Hanukkah." 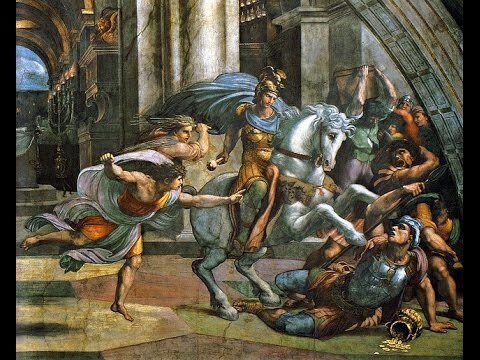 Solomon dedicated the first Temple in the 10th century BC with a 7 day festival ending on the 8th day (I Kings 8; II Chronicles 7). 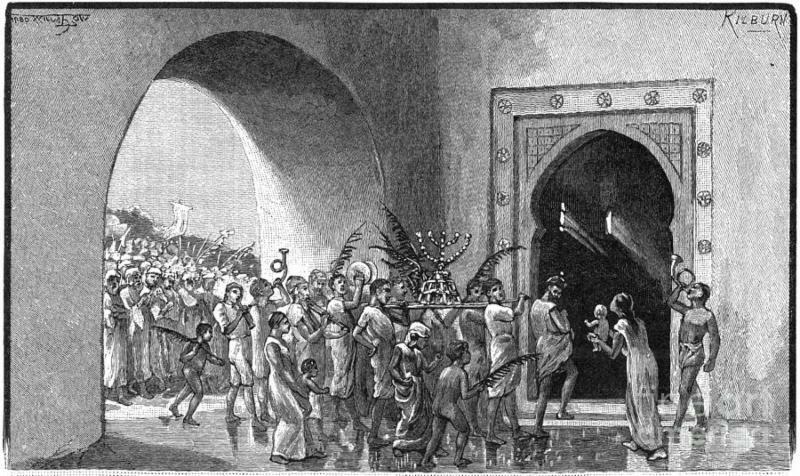 After Jews were taken captive to Babylon, 597-581 BC, King Cyrus of Persia let them return to Jerusalem after 70 years of captivity. 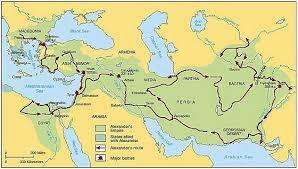 Around 334 BC, Alexander the Great invaded from the west and speedily conquered the Medo-Persian Empire. 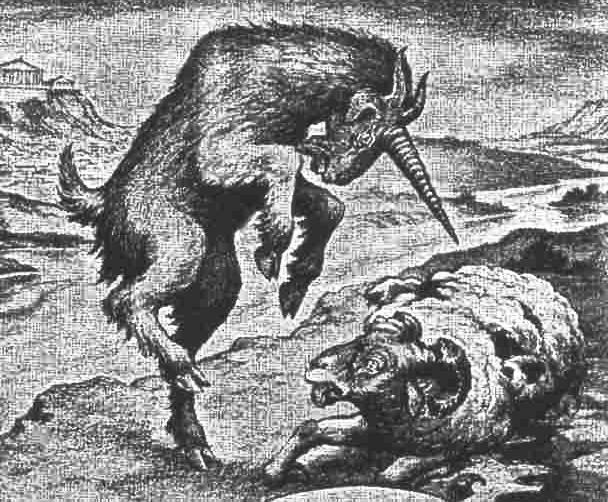 "The male goat was coming from the west over the surface of the whole earth without touching the ground; and the goat had a conspicuous horn between his eyes. 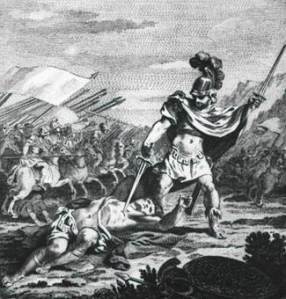 He came up to the ram that had the two horns, which I had seen standing in front of the canal, and rushed at him in his mighty wrath ... and he struck the ram and shattered his two horns." 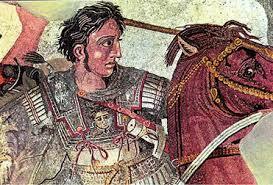 At the height of his power, Alexander the Great suddenly died and his four generals divided up his empire. "The male goat magnified himself exceedingly. But as soon as he was mighty, the large horn was broken; and in its place there came up four conspicuous horns toward the four winds of heaven." 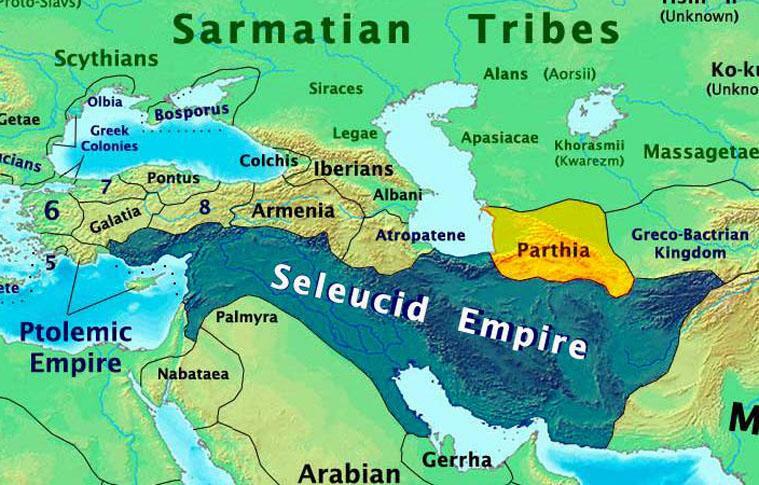 -Seleucus ruled the rest of the Middle East, Syria, Babylon, Persia, and parts of India, collectively known as the "Seleucid Empire." 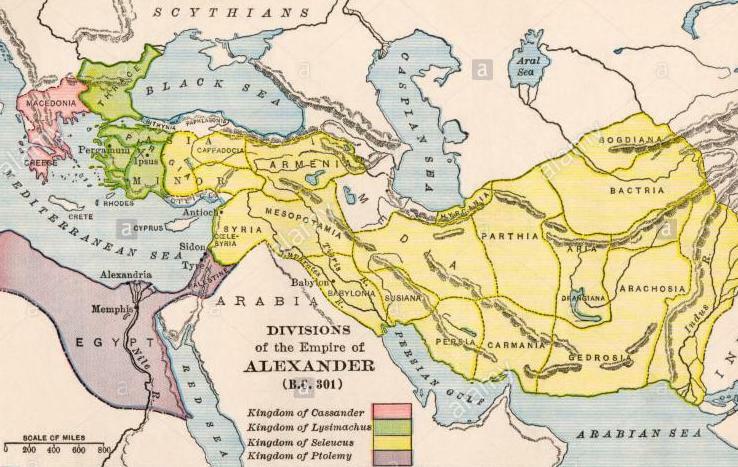 Around 167 BC, out of the Seleucid Empire, there arose an aggressive king, Antiochus IV Epiphanes. "Out of one of them came forth a rather small horn which grew exceedingly great toward the south, toward the east, and toward the Beautiful Land." 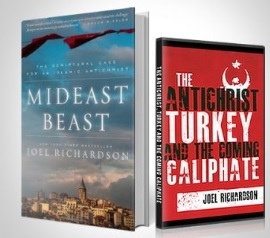 Best-selling author Joel Richardson presents the thought, that with modern-day Iran threatening Israel, there may yet be a future element to Daniel's prophecy: "Son of man, understand that the vision pertains to the time of the end." 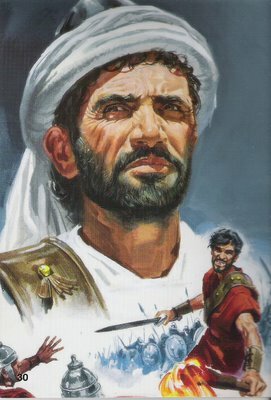 "The king ... thought that Judea was in revolt. 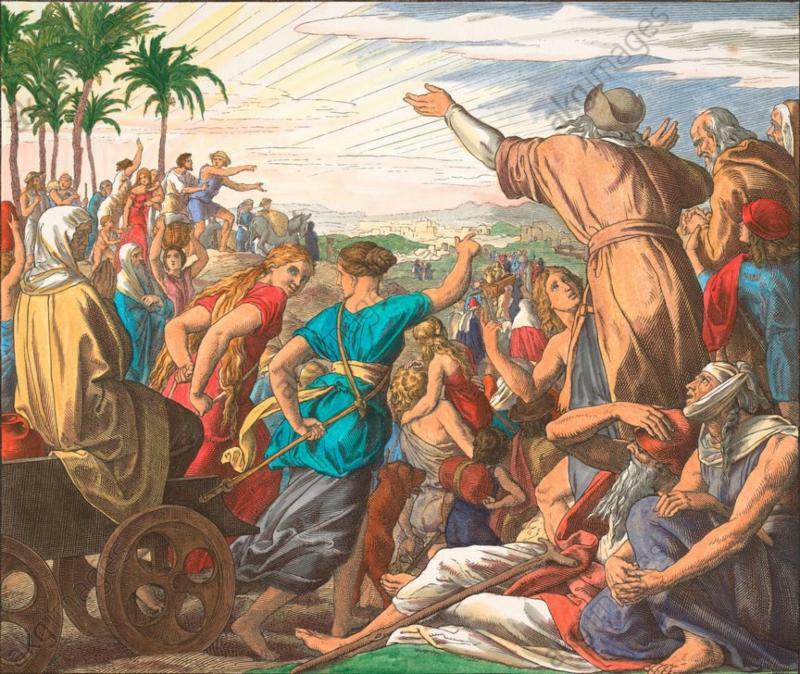 Raging like a wild animal, he set out from Egypt and took Jerusalem by storm. 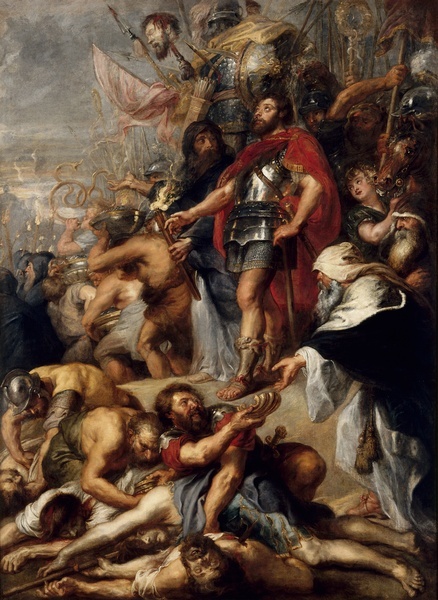 He ordered his soldiers to cut down without mercy those whom they met and to slay those who took refuge in their houses. In the space of three days, eighty thousand were lost, forty thousand meeting a violent death, and the same number being sold into slavery." 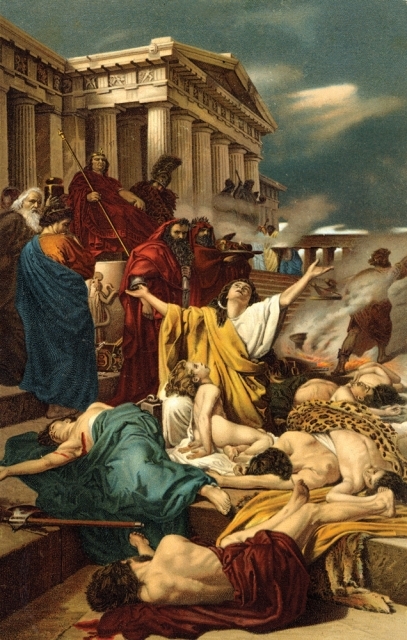 ﻿And forces shall be mustered by him, and they shall defile the sanctuary fortress; then they shall take away the daily sacrifices, and place there the abomination of desolation." 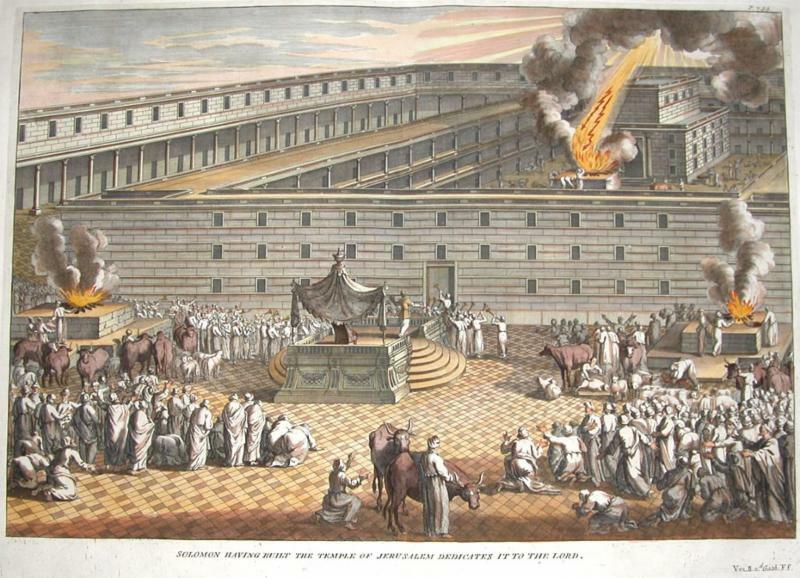 Others, who had assembled in nearby caves to observe the sabbath in secret, were betrayed ... and all burned to death." "But the people who know their God shall be strong, and carry out great exploits." 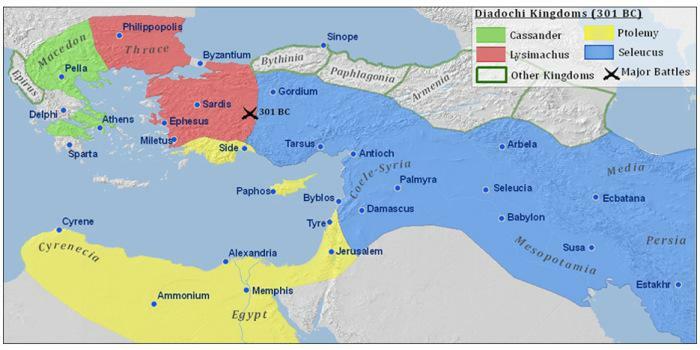 In 167 BC, Mattathias and his sons began the Maccabean Revolt against Antiochus Epiphanes. 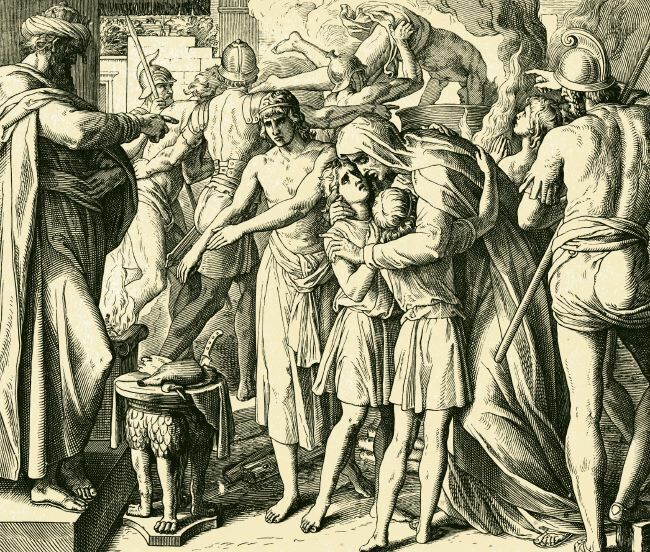 By 165 BC, Judas Maccabaeus was finally successful in driving the enemy out. 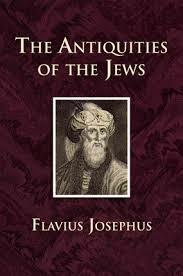 When the Second Temple was cleansed of all the pagan defilements in 164 BC, the decision was made to rededicate. 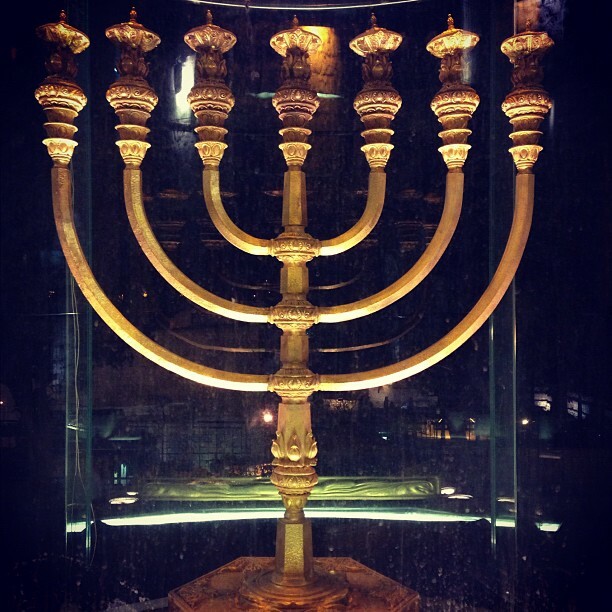 There was a problem -- there was only found enough holy olive oil to light the golden lampstand - the menorah, for one day, and it would take a week before more could be made. The decision was made to relight it anyway, and miraculously, the light burned for eight days. 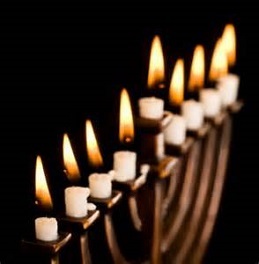 This is celebrated annually as the Festival of Lights, or HANUKKAH, which is the Hebrew word for "dedication." 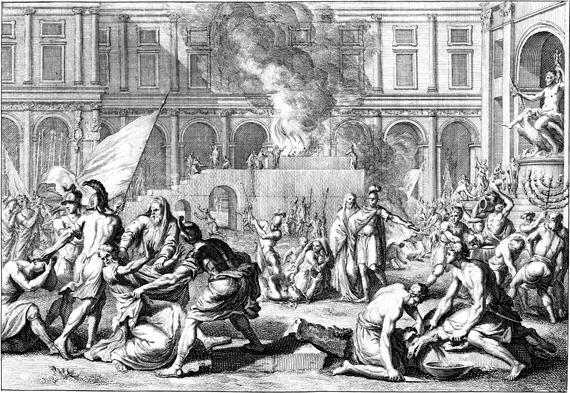 But when he with the whole multitude came to Jerusalem and found he Temple deserted, its gates burned down, and plants growing in the Temple of their own accord because of the desolation, he and those with him began to lament ..."
... And on the 25th day of the month Kislev, which the Macedonians call Apellaios, they lighted the lights that were on the menorah, and offered incense upon the altar, and laid the loaves upon the table, and offered whole burnt offerings upon the new altar. 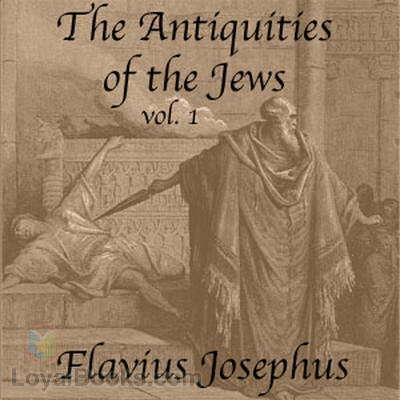 ﻿for the Temple had remained desolate for three years after being made so by Antiochus ..."
They honored God, and delighted themselves with psalms of praise and the playing of harps. 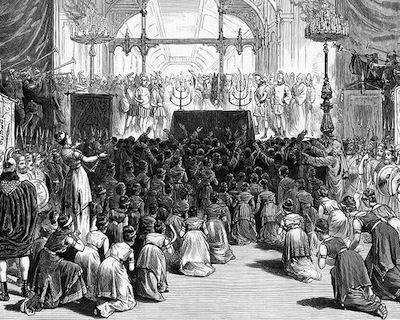 Indeed, they were so very glad at the revival of their customs and, after so long a time, having unexpectedly regained their right to worship, that they made it a law for their posterity that they should keep a festival celebrating the restoration of their Temple worship for eight days." 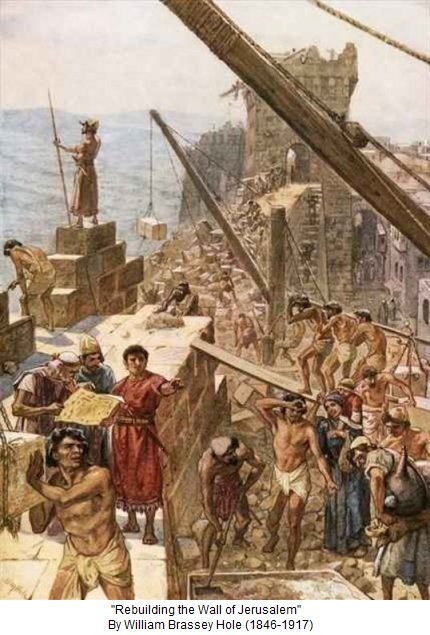 "At that time the Feast of the Dedication took place at Jerusalem; it was winter, and Jesus was walking in the temple in the portico of Solomon. 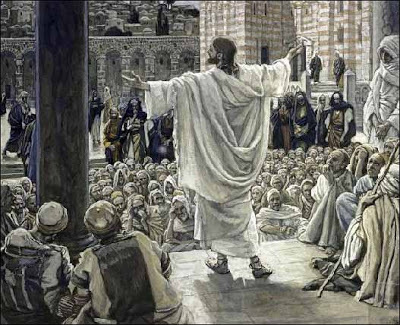 The Jews then gathered around Him, and were saying to Him, 'How long will You keep us in suspense? If You are the Christ, tell us plainly.'" The many centuries of Hanukkah candles being lit during the winter might have been an inspiration for the Christian tradition of putting lights in tree branches to depict the sky above Bethlehem. We need the sustaining, buttressing aid of those great ethical religious teachings which are the heritage of our modern civilization. 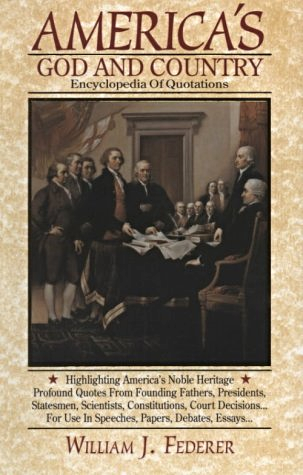 For 'not upon strength nor upon power, but upon the spirit of God' shall our democracy be founded." 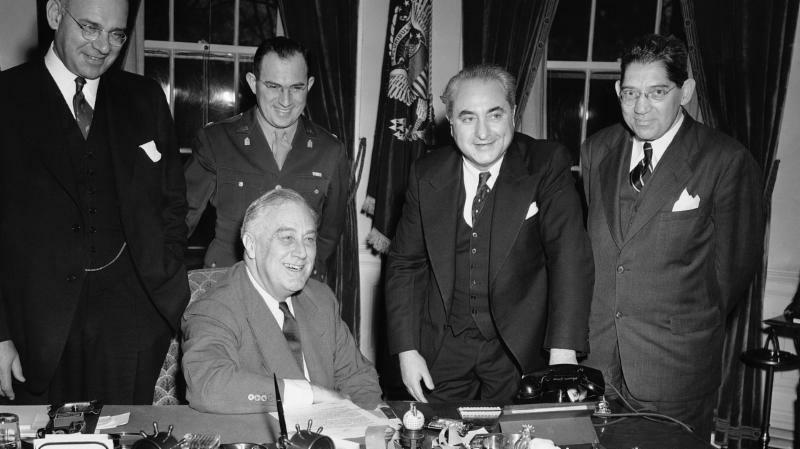 In 1951, President Harry S Truman received a presentation of a Hanukkah menorah from Israel's Prime Minister, David Ben-Gurion. 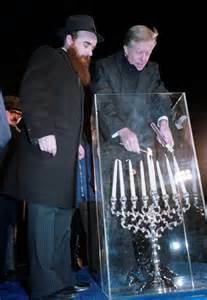 On December 17, 1979, President Jimmy Carter was the first President to participate in Hanukkah. 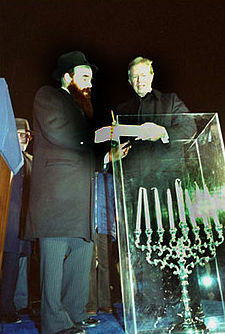 He walked from the White House to Lafayette Park to light the National Menorah erected by the American Friends of Lubavitch. 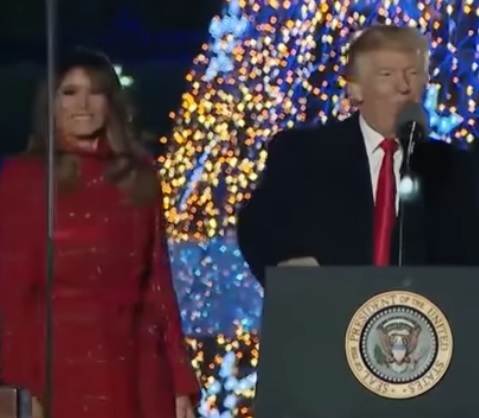 "It's a real honor for me to come from the White House here to this ceremony celebrating the commencement of Chanukah, last night, the Feast of Lights. ... The first candle that I lit, the shammes candle, has given its light now in this glass cage to five other candles. It has not itself been diminished. It shows that when we give life and love to others, the life and love in our own hearts is not diminished ... It grows the more we share it. 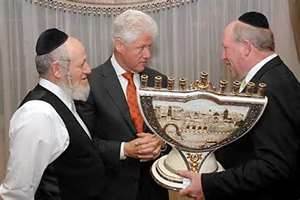 I'm very grateful that this beautiful menorah has been dedicated for the commemoration of the season of Chanukah, and I'm very grateful as President to be partaking in this commemoration of a season when human beings are drawn closer to God and, in that spirit, have confidence that the future will bring us a better life with God and with one another." "Whether we be Americans or Israelis, we are all children of Abraham, children of the same God. The bonds between our two peoples are growing stronger, and they must not and will never be broken. 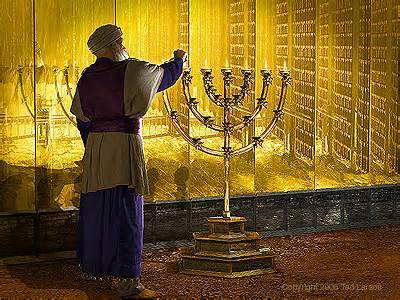 "When Judah Maccabee and his followers prepared to rededicate the Temple in Jerusalem, they found ... only enough oil to light the menorah for one night. Miraculously, it lasted eight." 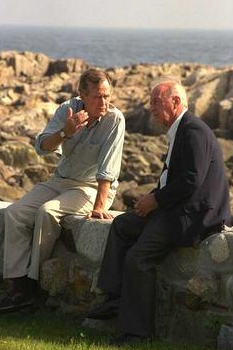 In 1996, the U.S. 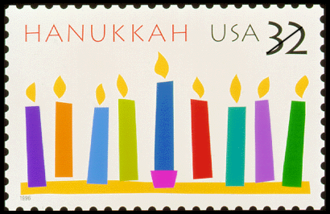 Postal Service unveiled the first stamp commemorating Hanukkah. Hanukkah symbolizes the heroic struggle of all who seek to defeat such oppression and the miracles that come to those full of faith and courage. 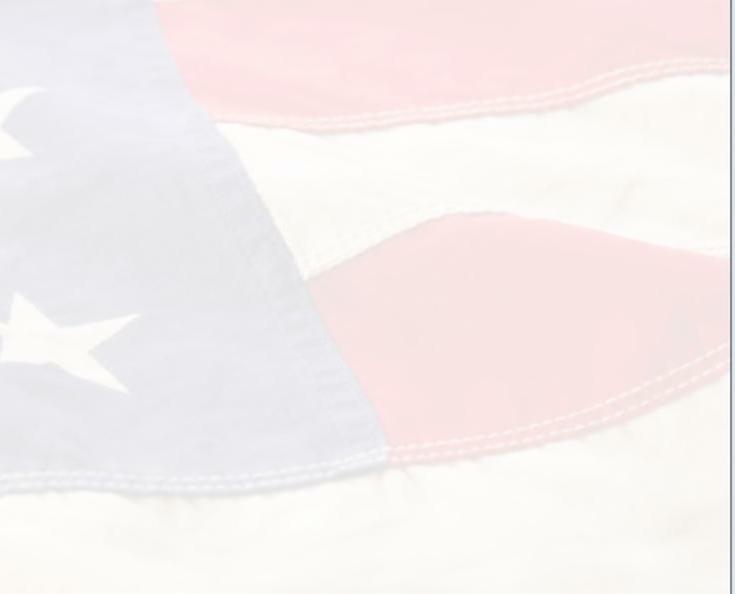 This holiday holds special meaning for us in America, where freedom of religion is one of the cornerstones of our democracy. 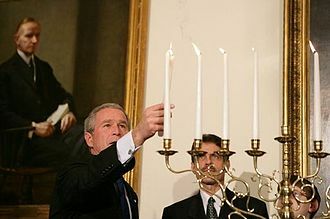 May the candles of the menorah light our way to a true and lasting peace for the people of the Middle East." We're reminded of the ancient story of Israel's courage and of the power of faith to make the darkness bright. 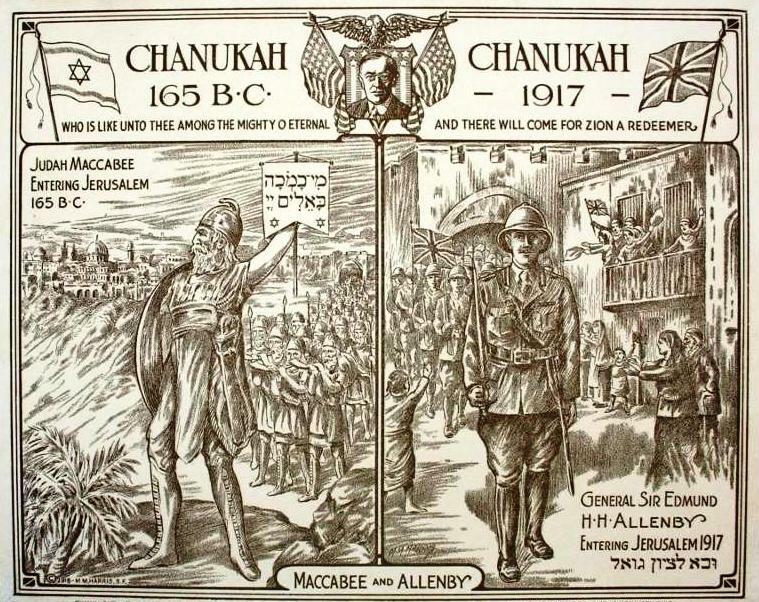 We can see the heroic spirit of the Maccabees lives on in Israel today, and we trust that a better day is coming, when this Festival of Freedom will be celebrated in a world free from terror." 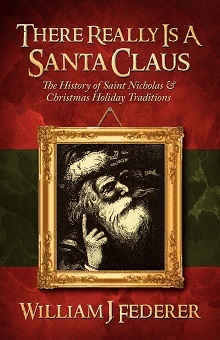 "The miracle of Hanukkah began more than 2,000 years ago, when the practice of Judaism was made punishable by death. 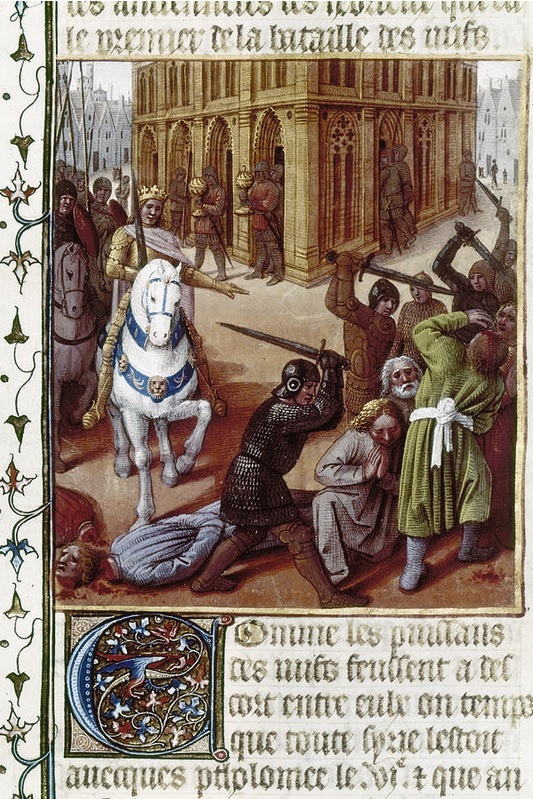 A small band of Jewish patriots rose up and reclaimed their Jewish identity by vanquishing a mighty army. 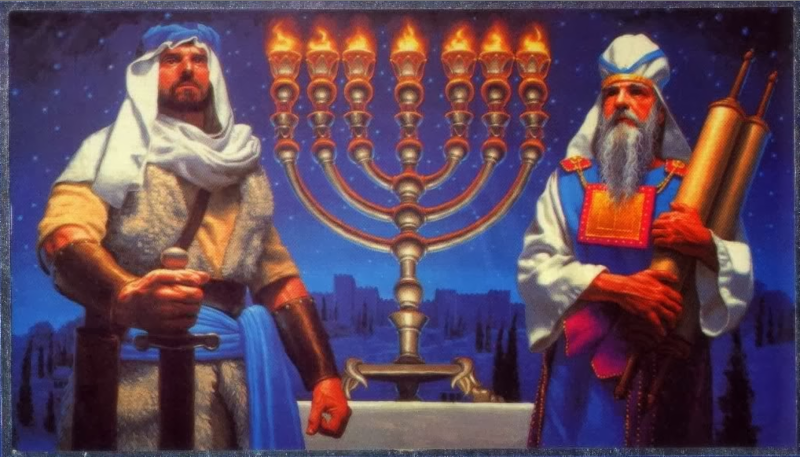 In their pursuit to rededicate their holy temple, the Jewish heroes found only enough oil to light the temple’s menorah for one night. However, a miracle occurred and with God’s grace the oil lasted for eight days. On this holiday, we are proud to stand with the Jewish people who shine as a light to all nations. We also stand with the people of Israel, the Jewish State, which has itself a miraculous history of overcoming the tallest of odds. 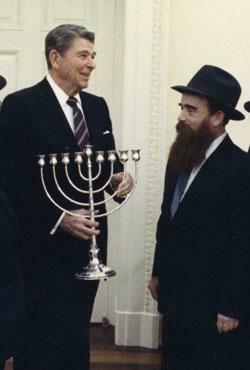 We hope that those observing the holiday here, in Israel, and around the world have a wonderful holiday."